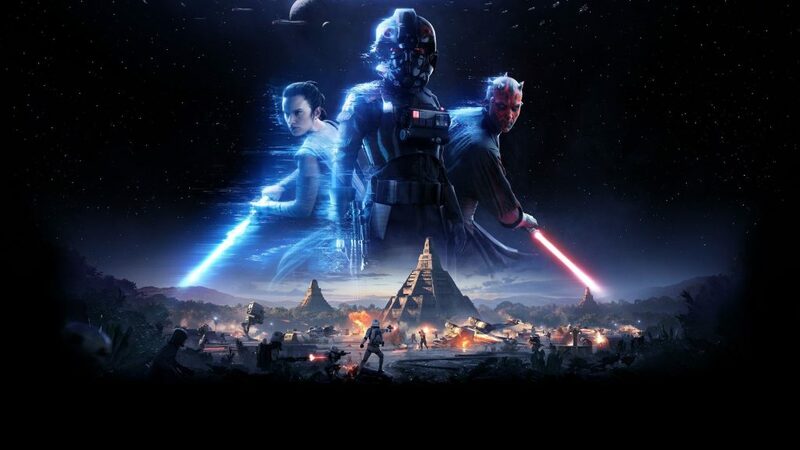 Home » Uncategorized » Star Wars Video Games: What Do We Want to See Next? So, you’re a Star Wars fan? Star Wars Battlefront 2 is days from release. Star Wars: The Last Jedi is mere weeks away. Solo: A Star Wars Story lurks in the near future. Meanwhile, comic-books, novels, figures, and almost every other merchandising opportunity is taken care of for the foreseeable too. Still, perhaps most exciting of all, EA’s acquisition of Titanfall-developers Respawn means another as-yet new Star Wars game heading our way. The Respawn team has proved their chops in the action-adventure genre with their mech-based epics, but satisfying Star Wars fans is another challenge altogether. After all, the number of less-than impressive releases over the years has been enough to leave many a gamer jaded. So, with this in mind, where do we want to see Star Wars games go next? Here are 5 ideas to get things started. 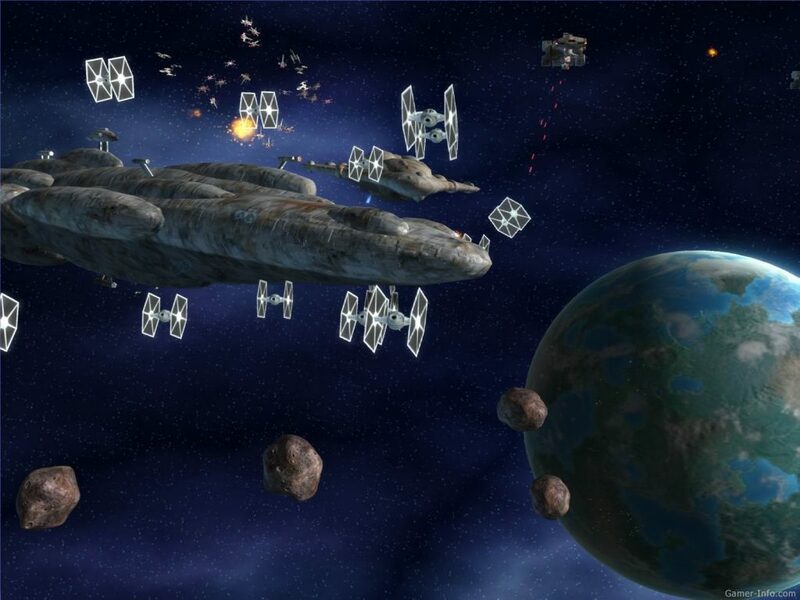 Star Wars and the RTS genre have made successful bedfellows over the years. Galactic Battlegrounds and Empire At War hold a special place in fans’ hearts, thanks to their giving players deep control over vast armies in familiar locations. Still, the franchise has expanded somewhat since then. With The Force Awakens and Rogue One, various new planets, characters, and armies have entered the mythology – Jakku, Scarif, Kylo Ren, Rey, Captain Phasma, and The First Order, to name the most obvious. Technology has advanced considerably since previous Star Wars RTS video games too. Imagine establishing a thriving base of First Order troops, watching them erect buildings and patrol your perimeter, all with the latest visuals, more realistic animations, and variable interactions. There’s huge scope here. An RTS could take place across all eight main movies, filling in gaps between Return of the Jedi and The Force Awakens as it goes, all whilst incorporating new vehicles, environments, and key characters. Space battles could be included, and offline and online play should be accommodated, even letting players design their own maps with fully customisable armies and locations. The Knights of the Old Republic games are some of the most beloved RPG titles ever released, but how about taking Star Wars in a more Bethesda-esque direction (with fewer bugs, perhaps)? Imagine all that, and more, but in the Star Wars universe (okay, maybe not the vampire or werewolf part). The freedom to make major life decisions would be most exciting: you could choose to join the rebels or sign up to be a Stormtrooper, or perhaps you’d rather earn a living as a bounty hunter and track targets across the galaxy. There’s always moisture farming, of course, or pod-racing. The fighting game seems like a decent fit for Star Wars, but it’s been surprisingly underused. 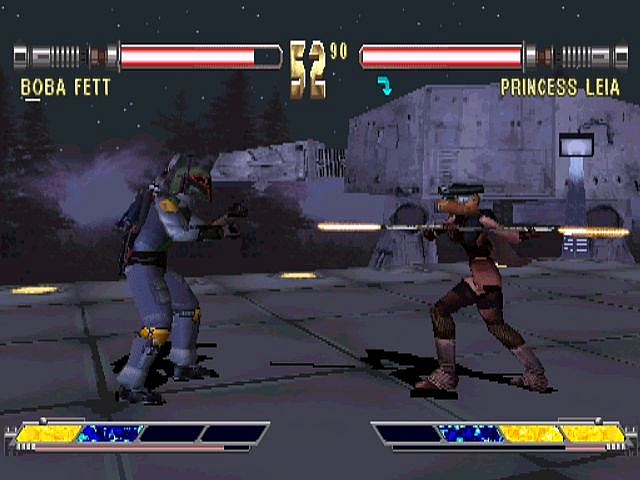 The Revenge of the Sith tie-in game featured a nice one-on-one duel mode, and certain characters have appeared in the Soul Calibur games, but the prime example of a Star Wars fighter remains Masters of Teras Kasi. Now, in all fairness, this comes from a time in which Star Wars wasn’t what it is today, and saw LucasArts trying to cash-in on the success of 3D brawlers in the late-90s. However, Masters of Teras Kasi just didn’t quite match the quality of a Tekken 2 or Virtua Fighter, and met more than its fair share of criticism. Another fighter featuring members of the Star Wars cast would have to be executed with much, much more flair, skill, and creativity. The variety of characters available allow the developers to cover different fighting styles, and there are more than enough heroes and villains to choose from. However, like almost any fighter based on licensed properties, certain problems would present itself. Pitting Darth Vader against, say, Finn would be tricky, as any fan knows such an encounter would be over in seconds. The same applies to Han Solo and a random Stormtrooper, Boba Fett versus Jar Jar Binks, or any other unlikely combination. That wouldn’t be a game-breaker, by any means – fans still enjoy the Injustice games, despite the innate strangeness of Harley Quinn or Robin managing to beat Superman to a pulp. The developers would gain extra points, though, if they found some way to explain why characters are on more even ground, rather than simply lopping heads off with lightsabers or disintegrating enemies altogether (we’re looking at you, Boba!). The original three Star Wars movies have been mined for video games again and again. 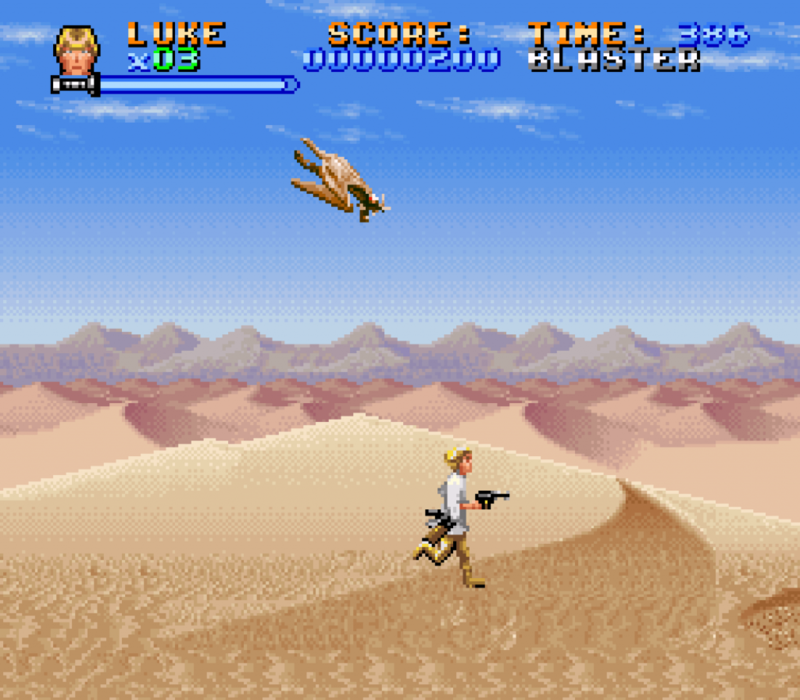 The Super Star Wars series, Lego Star Wars: The Original Trilogy, Apprentice of the Force, and others have allowed us to play through the originals as Luke and his pals. However, what about an updated, more mature, non-platform-based version for today’s gamers? Every aspect of the original trilogy can be recreated to a high standard now, across various genres. 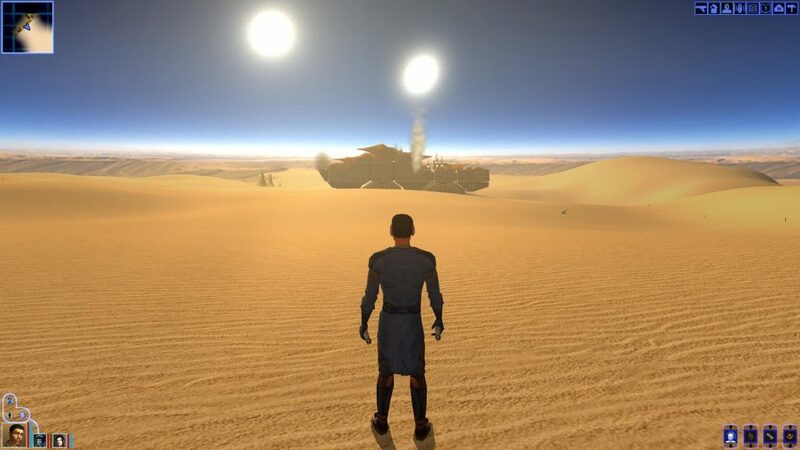 The opening sequence aboard the Tantive IV could see you playing as Princess Leia or Darth Vader in a Battlefront format, while Luke’s exploration of the Jundland Wastes could be a free-roaming adventure that goes on as long as you want it to. The battle of Yavin, the scenes in Bespin, the battle of Endor, and more could all be played through in a definitive way with today’s hardware. Sure, it might not be as deep as a Skyrim-styled Star Wars game or an RTS, but it would allow fans to recreate their favourite original trilogy moments like never before. The Battlefront games have done this to an extent, but not in context of the movies’ ongoing narrative or always as the key characters. Star Wars does villains brilliantly. From the cackling madness of Emperor Palpatine and the greediness of Jabba the Hutt to the reserved ruthlessness of Boba Fett, that galaxy far, far away is home to some great rogues. 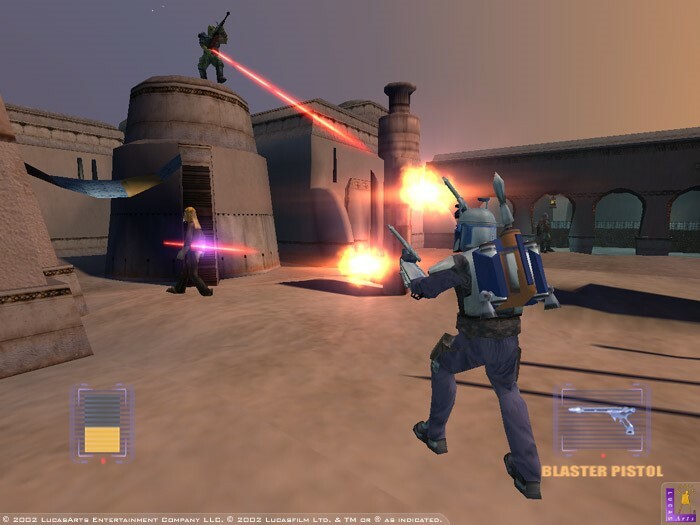 2002’s Bounty Hunter was a refreshing take on the Star Wars universe, at least in the world of video games. You could step into Jango Fett’s boots and track one bounty after another, making full use of his arsenal and gadgets as you explored various diverse locations. Bounty Hunter wasn’t perfect, but it stands out as a creative use of the Star Wars licence. A similar game with today’s technology – not unlike the cancelled 1313 – could fit into the growing catalogue of Star Wars titles beautifully. This could focus on Boba Fett as he undertakes jobs, or someone else entirely, possibly brand new. You could play as a smuggler, an enforcer, an assassin, or even a petty criminal trying to climb the ranks. You could hijack vehicles, pull off daring thefts, dabble in kidnappings, transport spice – a far cry form simply playing as another Jedi or anonymous soldier. The dark underbelly of the Star Wars universe tends to be fascinating, and while we may never get to see 1313 hit the market, let’s hope we get something even better soon. What genres, characters, or storylines do you want to see in new Star Wars video games? A new real-time strategy title? More emphasis on villains? Let us know!